Pre-seed and seed investing in startups. From an initial idea for a new business to a viable business idea. Are you ready for the challenge? On our website we write: "Business works with original ideas"
And, as a consequence, this involves the capability to develop sustainable sales and grow with loyal customers. "OK, is see that your company operates in investments. That you are a holding company. That you keep a portfolio of companies, but you know, I still don't truly see what you guys do ... "
At that point I realized that it made sense to write this post on my blog, to be as clear as possible. 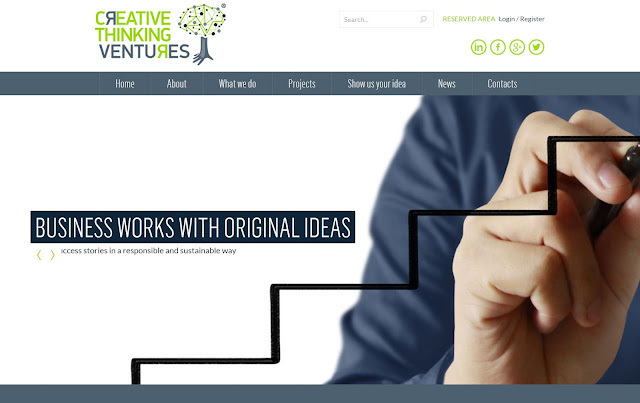 Our company, Creative Thinking Ventures, operates as founding investor in Italian startups. We will help to set up the startup, with the correct legal and organizational setting. To assemble the team, and develop a prototype, and then help you with the market test. To check if people would be prepared to pay for it. Subsequently we need to validate the business model. All this is necessary to make the startup interesting to investors and presentable to the outside world. To be able to do this we collaborate with other organizations in the Startup Ecosystem. We are an investment and consulting group of companies. We take care of the growth of high potential startups and innovative SMEs. Talented people may have great ideas but may never get heard or public exposure, that's exactly why presenting skills are essential. WHAT IS A BUSINESS PITCH, WHY HAVE A PITCH DECK? A business pitch is basically delivering a business plan verbally. 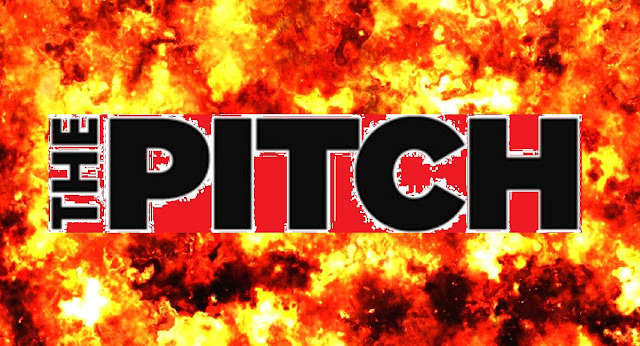 A pitch typically takes the form of an entrepreneur or group of entrepreneurs presenting or describing their ideas to prospective investors. If you need to raise funding from VCs for your startup or innovative SME, the first step is to create a pitch deck. A pitch deck is a brief presentation (usually based on slides) that provides the audience with an overview of your business. It is often created using PowerPoint or Keynote, or lately with Prezi. Regardless of the means chosen to pitch, the aim is typically the same; describing a business opportunity with the intention of securing funding to develop the idea further. Typically, entrepreneurs commence the pitch with a description of the market and the need, and how the team intends to respond in an original and unique way to that need. The presenter then describes the opportunity and motivates a request for a certain amount of funding in return for a percentage of equity in the business. He/she then concludes with a Q&A session. If an offer is made by an investor and it is accepted, due diligence will be undertaken to ensure that the investment opportunity is as it was described and that the key financials stand up to critical examination. Personally I have quite some experience pitching myself and I have seen even more, and unfortunately the level of preparation always shows through. Or, may be, fortunately, it depends on how you see it and how well prepared you are. Should Pitch training then be made mandatory, before startups are invited to appear before investors? What do you think? Doing a good pitch is no rocket science, but you must do your homework! First of all, explain yourself in the first minute. Explain what you do, why you do it, why they should listen to you for the rest of your pitch. The foundation of a great pitch is the research you do before the meeting starts. Learn what’s important to your audience. Do your research. Visit the organization’s Web site, use Google searches, read reports and talk to your industry contacts to gather core information about the audience and their background. Third, brainstorm with your team to find the connections, hooks and angles to make the pitch powerful and meaningful. Remember you are the center stage. Your pitch deck is just your tool, Use slides to lead, not read. They should paraphrase and enhance what’s coming out of your mouth. Come in early and check everything, have your backups. Be prepared for all possible situations. So you can focus on your audience, of which you now know the expectations. Remember also, that your pitch doesn’t have to be pretty, just effective. A common mistake many entrepreneurs make is to pitch their product to investors, but investors don’t invest in products, they invest in businesses, and in the teams that manage these businesses. Obvious? So, why do many pitch decks then miss the point? A well-structured pitch deck and a superbly executed pitch are the fastest and easiest way for you to explain your business to investors. This improves the odds, right? Therefore your task is to convince them that your business offers a greater return, with less risk, than all the other businesses that they are looking at. And that you have a team able to execute. So one thing is learning to pitch, and another one is pitching in English. We might already say that pitching in your mother tongue to investors and other stakeholders isn't easy and requires preparation, imagine how difficult it is if English is your second language? So when our startup friends go to pitch in London (or NY or Bay City), in a foreign language (typically in English) we should help them and train them because "Practice makes Perfect". Pitching over and over again is the only way to learn to do it well. Twenty-five times is what it takes for most people to reach this level. 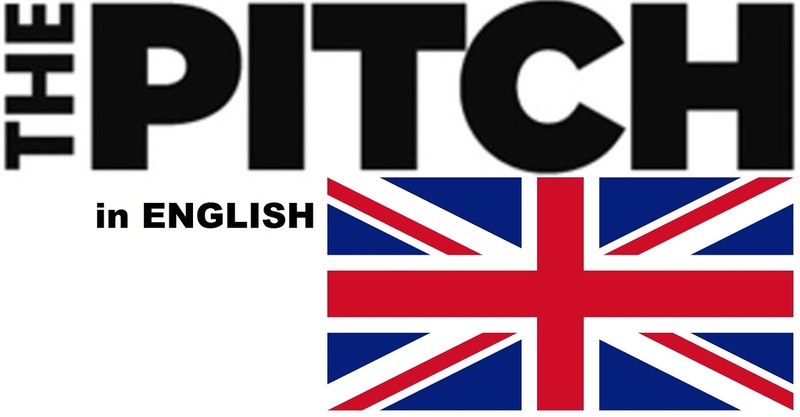 If you don't know anybody speaking English well enough, and you have to go to pitch, you can always follow the link below. Link to learning to pitch. We do have the experience to make you perfect, it's up to you, we will train you and we will help you. So, to conclude, you first need to be able to pitch well in your own language. And then to rehearse to do it up to perfection. Once we're ready and can pitch extremely well, we can go to the second stage and start doing it in another language (English). Pitching clearly and with the right vocabulary. Pronouncing accurately, so people understand your message. Master public speaking to a live audience in English. 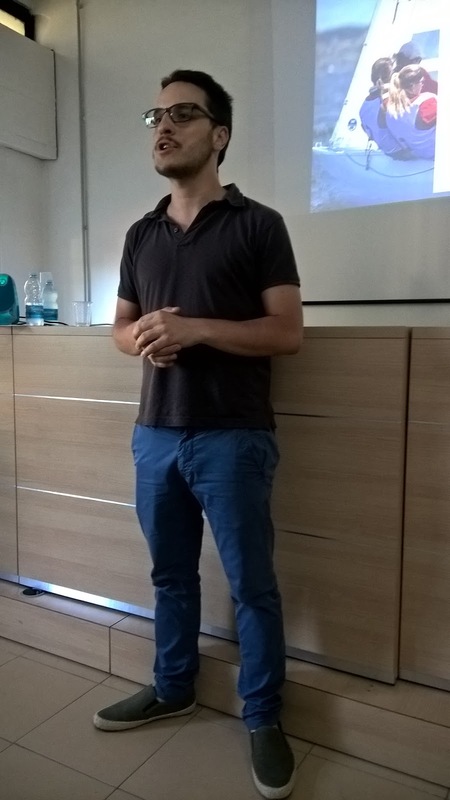 Picture of an actual pitch in London performed by Joshua Priore (digital startup Worldz) at an event organized by iStarter with the Italian Trade Agency. 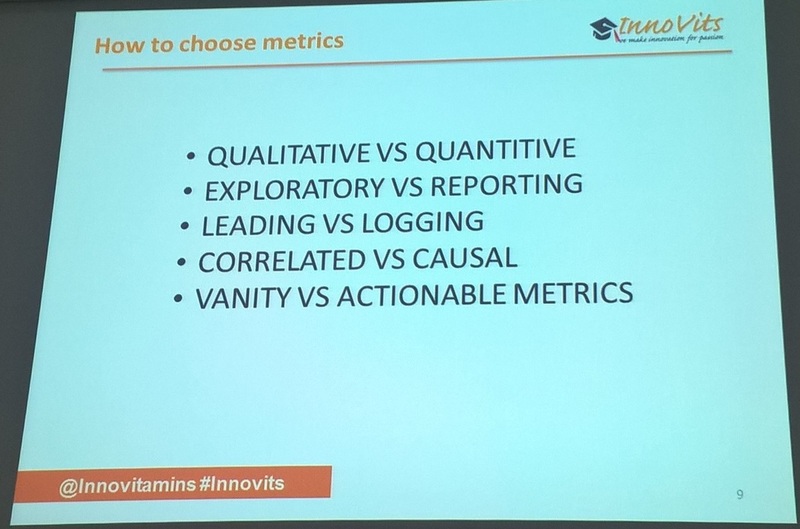 Good metrics are an excellent tool for decision making. They serve the entrepreneur-startupper and the team as well, but are also instrumental to communicate with the stakeholders and generally to the rest of the world. Metrics are thus only tools not an objective per se, and as such need to serve the purpose for which they were conceived; which is to guide, to indicate progress (or lack of progress). 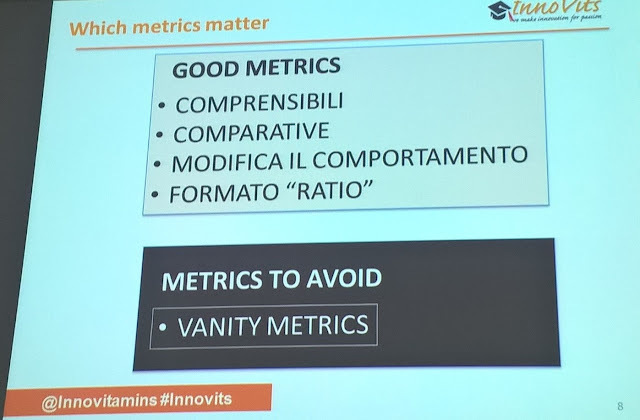 AVOID the so called "Vanity Metrics" which do not give the entrepreneur (startupper) the right information to take decisions, but are there to show-off and look good. If Metrics are tools, then their change over time becomes part of a process of permanent improvement. But this works only if they fulfill their purpose, not if they are "window dressing" ! If we consider it, this type of information is also related to what we might want to collect for statistical purposes. And that is exactly right. 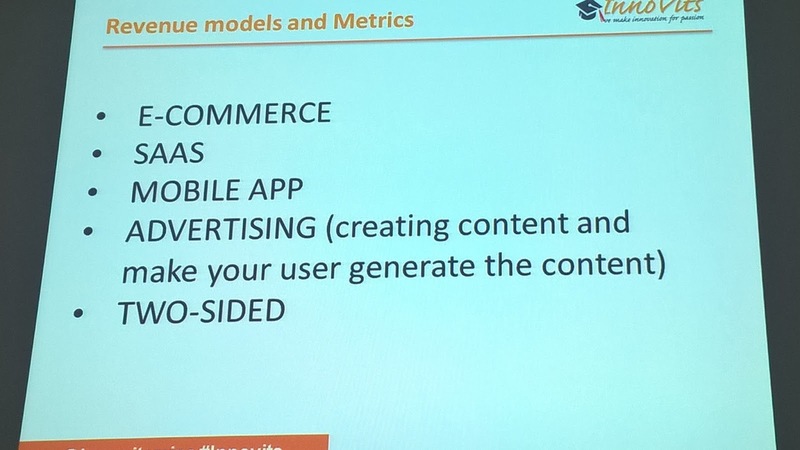 Metrics also need ot be adapted to the type of revenue model that the startup is pursuing. Basically the type of business the startup operates in. CAC customer acquisition cost - is the cost associated in convincing a customer to buy a product/service. This cost is inclusive of the product cost as well as the cost involved in research, marketing, and accessibility costs. NPS net promoter score - a management tool that can be used to gauge the loyalty of a firm's customer relationships, it measures the loyalty that exists between a provider and a consumer. As you can see, the key elements may vary much, in terms of importance of each measurement towards the goals of the startup. Which is obviously correct. You need to measure what is relevant. And you may adapt the metrics and the attention you give to them to the target. In the end the goal is to have a revenue model which is sustainable, and generates profit. But if we analyse the content of the metrics versus the goal of each revenue model, we see that they all point towards what I said in my previous post! Get customers who are happy to pay for your product/service. Get repeat sales and referrals. The metrics should therefore indicate the progress that we are making in this acquisition and fidelization process, and this is valid for any Startup. 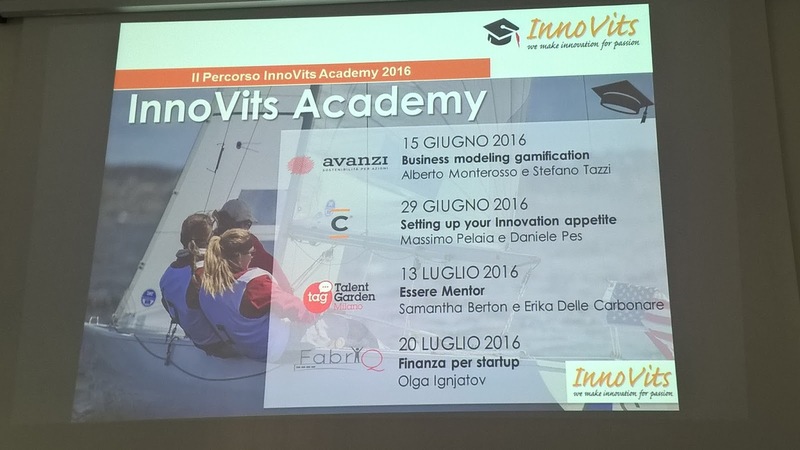 For those interested in information about Innovits, please read further. Innovits is an organization of #managers and #entrepreneurs who work with #passion to promote #innovation and create opportunities for professional growth. 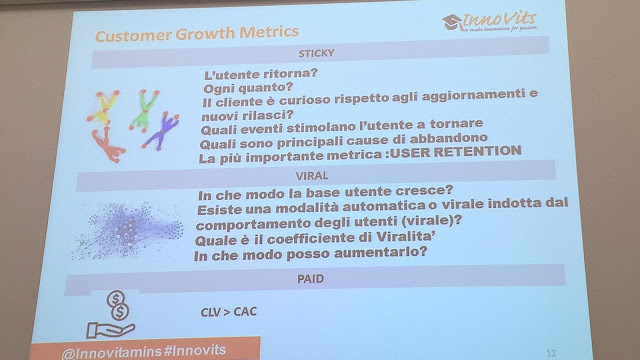 Since its foundation in Milan in 2010, #InnoVits builds a #cultural bridge between the #corporate world and #startups, leveraging the best of two cultures: the #experience of managers in directing a structured company and agility of entrepreneurs. 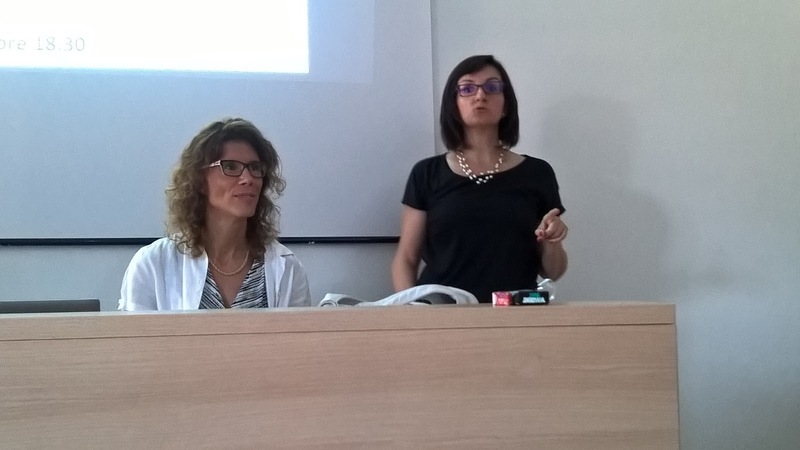 InnoVits now has over one hundred people, mainly distributed in Italy, working with enthusiasm on business projects with the aim to bring them to an appropriate level of #development to present them to the investment community, the already-established #ecosystem of industry and SMEs. As a result of these activities, InnoVits has established a wealth of talent and expertise that it makes available to the ecosystem of innovation through #workshops, #seminars and dedicated #support. 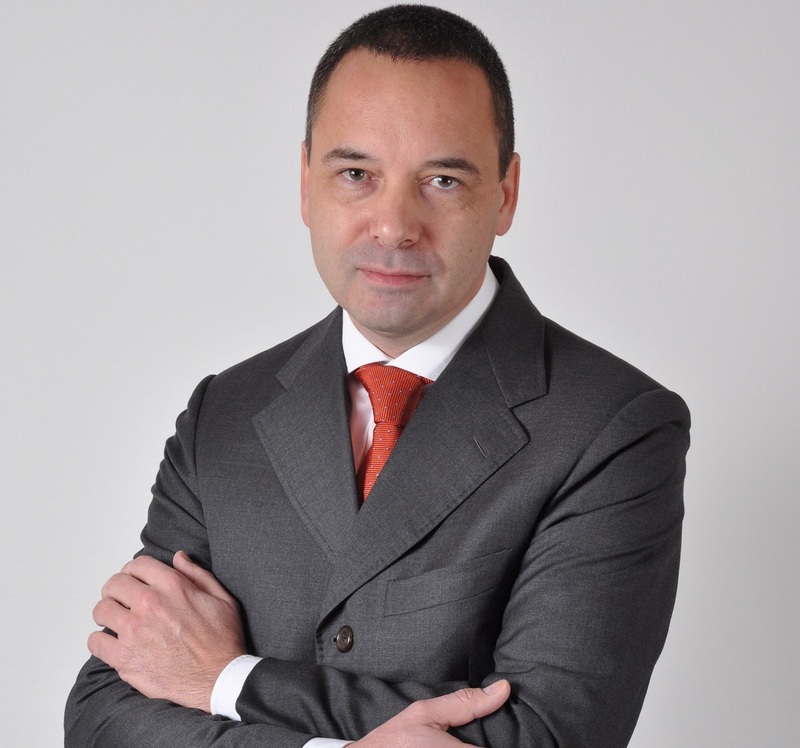 http://www.innovits.it/ is an association of managers who are passionate about #innovation. The motto is "we make innovation for passion". This anno 2016, Innovits has again presented #Innovits #Academy to develop the concept of responsible #mentorship. The 4 sessions of this very involving event have been as follows. The fourth encounter was presented by Olga Ignjatov. Finance for startups, in order to better understand and control the finance behind startups, such as #metrics and measurement of growth and #performance. 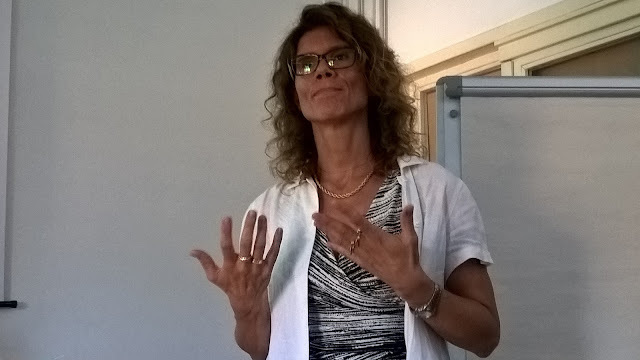 And with a brief welcome by the president of the association Stefania Iacono Pezzillo. One of the most interesting slides about metrics was certainly this one which links the relevant metrics to the #customerexperience and as a consquence to the #developmentstage of the startup and the success in moving, with the users, from one #stage to the other. Which implies that the metrics may change over time, and with the development stage. Acquisition -You acquire the user. For an internet based product, this usually means a sign up. From which channels are the users coming? How do users find you? Activation -The user uses your product, indicating a good first visit. Are your users happy with the experience? Are users having a great first experience? Retention -The user continues to use your product, indicating they like your product. Are the users coming back to re-try the experience? Referrals -The user likes your product so much he refers other new users. Do your users like the experience to the point that they will suggest it to others? Revenue -The user pays you. Are you able to monetize the experience? How do you make money? To each stage in the #customer #experience will correspond an appropriate metric. Which should be relevant to measure what it is intended to, and understandable to your team. 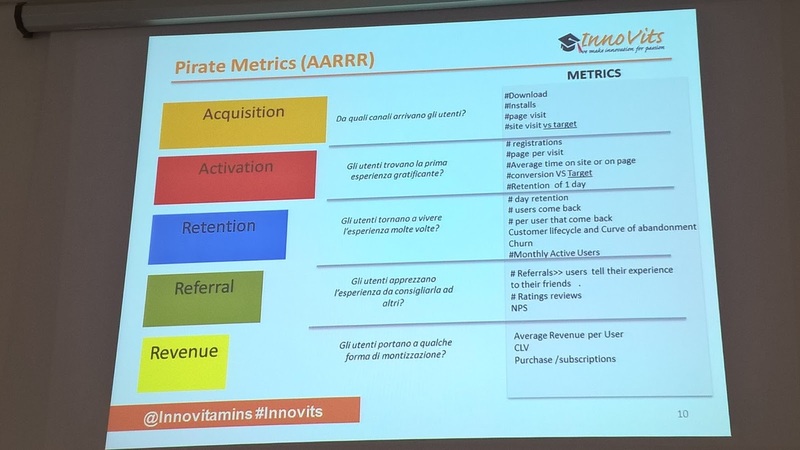 If you want to study more in depth have a look at Startup Metrics for Pirates: AARRR! By Dave McClure. But the growth metrics are mostrly customer retention related, as seen below. And, in truth, this is valid for any startup, like any other company. >>> Get your customers, and then, keep them, right? The different, possible, revenue models will need attention to different metrics, which may partially overlap, but the key metrics to look at will need to change. More information about the key metrics in the different types of businesses on internet in my next post about Innovits startup metrics.